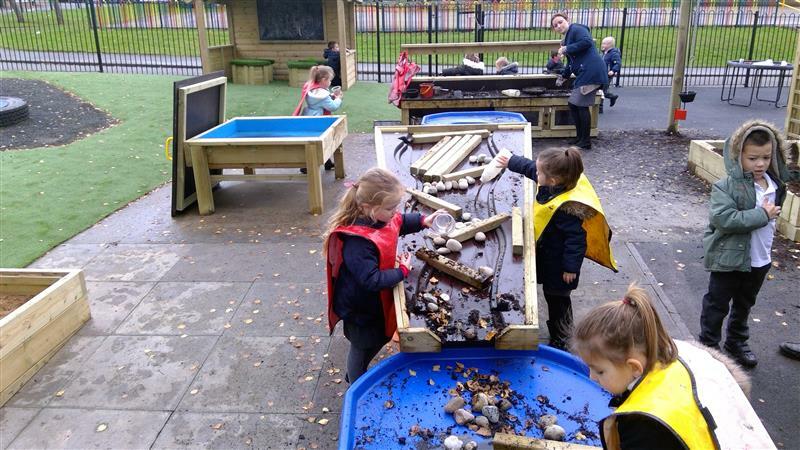 Our Damming Station connects to the Pentagon Water Wall to create an inclusive and lively Messy Play Zone on your early years playground. A great resource for teamwork, as one group pumps the water from the Water Wall, the other creates a dam for the overflowing water. With the apparent need to work together, children will begin to improve their overall communication and social skills. For the perfect messy zone, includes a Mini Tuff Spot Table for mixing components, our Rope and Pulley System for transferring materials and a Mud Kitchen for additional sensory experiences. 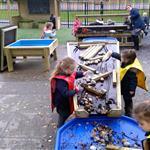 Play and investigative learning will truly come to life!